As DigitalMarketer’s resident Social Media Manager, I spend a lot of time observing what others are doing in the social atmosphere. Along with a shortlist of influencers I keep up with daily, one of my favorite ways to learn about what others are practicing is to partake in Twitter chats—they’re a hotbed for slick strategies and tactics that business owners and marketers are using to grow and optimize their marketing efforts. One of my favorite Twitter chats to follow along with is the weekly #InfluencerChat, created by Ann Tran and Rebekah Radice. The goal of #InfluencerChat is to shine a light on what true social media influence is and inspire anyone using social media to build a business and online brand to maximize its effectiveness. A few of my favorite topics they’ve covered have been “Facebook Branded Content Policy”, “10 Ideas to Fuel Your Influencer Marketing”, and “The Impact of Social Media Influence on Buying Behavior”. This past Tuesday was a topic near and dear to my heart: Actionable Ways to Use Social Media to Increase Organic Website Traffic. As one of my main goals as SMM is to increase organic traffic to our website from social media, I knew I would discover new gems from this chat. Question #1: Social media can make a big impact on organic traffic going to your website. Can you give examples of how this works? Google uses Twitter to discover new content. Tweets are instantly searchable in Google. Sharing content from your site (the right way) lets you increase your traffic without relying as much on search engines. Question #2: What are some simple things you can start doing today on social media to increase your organic website traffic? Post your best content regularly and keep all of your platforms updated and with current content. Pinned tweets and posts with strong CTA’s going back to landing pages on your site. Love sharing snippets, quotes, images that tickle curiosity to drive traffic for more info. Question #3: What are other actionable ways you can get people curious about your brand on social media and increase organic traffic? Write headlines that people like to share on social media. Keep in mind, these may be different from your SEO headlines. Use social media tools like Fb live or IG stories to give your audience a more authentic view of you & your brand. Make sure you are writing social content that reflects interests audience cares about. Current events in your field. Question #4: How do the types of topics you blog about and share on social media affect your organic website traffic? The main topics you blog about and share should align with your overall goals, reinforcing your personality and brand. You should stick to a common theme if possible to provide your audience with authenticity and consistency. Know what people want. Listen on social to find what people are ASKING. Use your blog posts to ANSWER their questions. Question #5: What can you do to ensure that once someone visits your site from social media – they want to come back again and again? Create a landing page that’s captivating and inviting. Give them a clear reason to sign up & email judiciously, follow on social & set up re-marketing. Make sure your branding & voice is consistent across online platforms so visitors feel comfortable getting to know you. Question #6: What are some pitfalls to avoid when trying to increase organic traffic with social media? Don’t just schedule everything. Go “live” once in awhile. 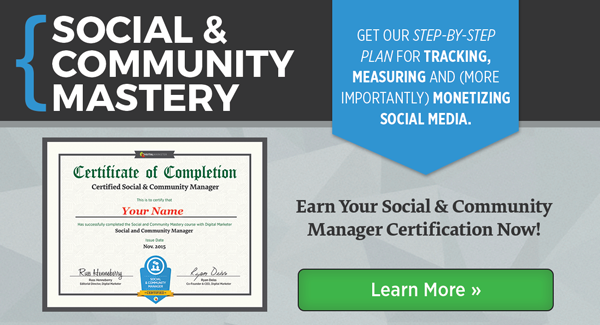 It’s easy to set social profiles on auto-pilot. Scheduling posts is smart but not interacting is a big pitfall to avoid! Remember that social media platforms are not a static billboard… It’s a social space. Question #7: How can keywords and hashtags on social media help you get more eyeballs on your brand and increase organic traffic? People follow certain hashtags and topics. The right word could get you a whole new slew of fans. The right hashtags will get your content in front of the audience you’re actually targeting. Keywords and Hashtags are essential – not only can people search for them, but it shows you know what they’re looking for. Question #8: Social networks are search engines too! How can you use that to your advantage to increase familiarity with your brand? Keyword optimization! Personalized communication. The more you put your brand out, the easier it’ll be to find. Use your bio to state what you’re about. With the right searchable words, your account will come up! Pinterest is great for this, a visual search engine and allows you to really brand your business with visual content. Question #9: Increase organic website traffic with social media by focusing on quality. What adds quality to social media posts? Quality = compelling, succinct copy tailored to needs of your audience coupled with compelling visuals. Delivering new thoughts + actionable info, not just delivering old thoughts in a new way–we see way too much of that! Question #10: Building a social media community & promoting relevant content to that community can increase organic traffic. How is that done? Setup a Facebook group to answer questions and help customers and potential customers with issues they struggle with. Providing your audience with an “inside scoop”/exclusive heads up via social is a great way to build a community too. Provide something of value on a consistent basis to your audience to bring them together and keep them coming back. If you’re interested in joining #InfluencerChat for yourself, it’s live every Tuesday at 8PM ET. Next week (9/20) will cover “Growth Hacks That’ll Help You Grow Your Social Following 10x Faster”. Hopefully I’ll see you there! Jess Lonett is the Social Media Manager at DigitalMarketer and gets paid to hang out on Twitter and Facebook all day. She considers herself expert level at finding the perfect .GIF for any and all occasions. Jess is a cat mom to an adorable ginger kitty named GoGo and is the resident Swiftie of the office. Outside the DigitalMarketer walls Jess occasionally performs in improv comedy shows and is constantly curating playlists on Spotify. Connect with Jess on Twitter.